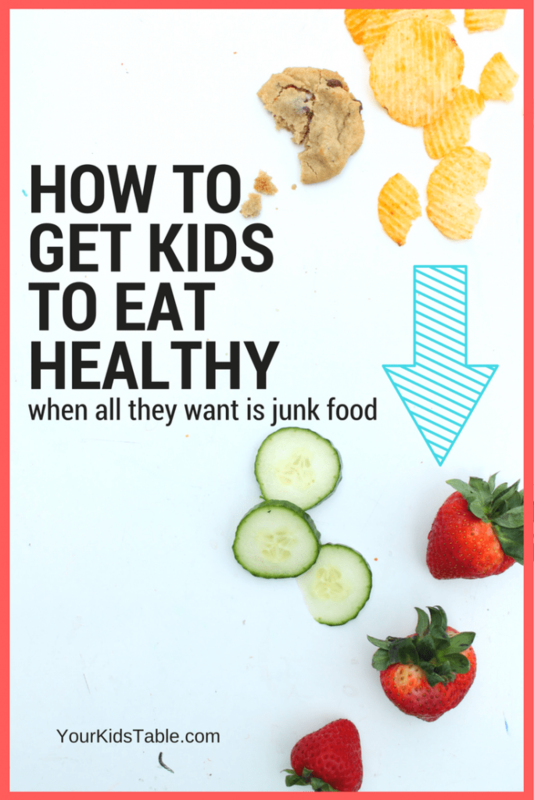 I couldn’t even guess how many times I’ve had a parent tell me, “My child won’t eat anything but junk food.” And let me specify that there’s a difference between your child liking junking food and it being the ONLY type of food they eat. When you start to witness your child systematically only accepting the chips, cookies, and crackers, while NEVER considering to eat a fruit, veggie, or maybe even a protein like meat, nuts, or cheese it can become a cause for some serious concern. At this point the way to moving past eating junk food all the time is to figure out how to get kids to eat healthy. Yeah, I know that seems impossible. But there is a way, in fact I’ve got 8 little known strategies to help your child that won’t eat anything but junk food begin eating other foods that won’t stress anyone out! First, we need to talk about why your child is stuck on junk food and if you actually need to be worried about it. I’m sure you know the most obvious reason that lies on the surface, its the reason many adults eats lots of junk food… it tastes good. Plain and simple, right? Well, there’s actually a little more to it than that. 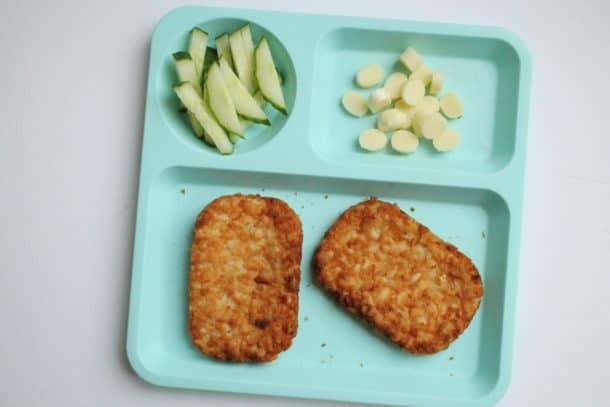 Some kids start off only accepting junk food, even from a very early age because eating typical foods like diced fruit and toast was literally too challenging for them to eat. In this case it is very possible that a child may have had some underlying feeding difficulties, which is very common. You can read more about that in Why Kids Refuse to Eat. Junk foods are easier to eat because they have a flavor that kids respond to, and most junk food is carb based. Children are literally wired to eat carbs. Seriously, they seek out foods that are sweet from a biological perspective because it gives them energy and a super long long long time ago it helped prevent them from putting poisons in their mouth that they came across in the wild. Not to mention that a few years ago a study found that kids may actually become addicted to junk foods from a physical stand point, you can read more about the study here. Once a child won’t eat anything but junk food it can spiral deeper as the child gets older and continues to never be exposed to or be presented with other healthier foods. And, I know that it isn’t always for a lack of trying! Your child may scream, tantrum, or even gag when they see a piece of broccoli or fish on their plate, or even at the table. Take it a step further and if a child tries other foods or even used to regularly eat fruits and vegetables, but then has a major illness or is hospitalized, the traumatic events from being sick can make them eliminate large categories of foods. If your child is at this point, they likely have a food aversion or fall into the extreme picky eating category. While that sounds scary, it really just helps us understand that your child, for a variety of reasons, may be legitimately unable to just pick up a carrot and take a bite. When eating has reached this point, kids will continue to only eat the foods they know are okay for them, even if those foods happen to be junk food, which they commonly are. 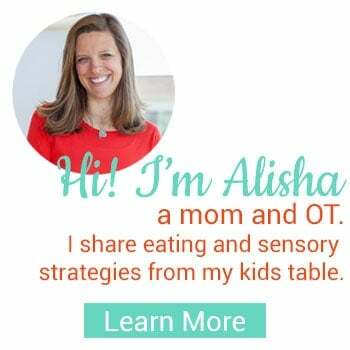 Before you start worrying, remember, by the end of this post you’ll have solid strategies from a feeding therapist and mom (that’s me) to help you successfully introduce new foods into your child’s diet. But, if your child eats a wide variety of foods but is simply obsessed with goodies and sweets then you’ll want to check out this advice on how to manage the freak outs for another lollipop here. Do You Need to Worry About How Much Junk Food Your Child is Eating? The short answer is no… probably not. Most of us don’t want to see our kids eating massive amounts of junk food and never a real meal, and working towards eating new foods is a great goal, but if your child is growing on a curve (according to their doctor) on their growth chart they are probably okay. I’m going to try and keep my soap box tucked behind my couch, because I can get really passionate about the culture around food, especially in America. But, it is important to know that junk food IS a part of our American culture, and unless you’re living on a commune with no television, internet, or grocery stores children are going to be exposed to it and honestly given the opportunity to eat it at times. I know you’re hear reading because your child is eating junk food all the time, but when we demonize or label the junk food constantly as healthy or bad for their bodies it sends mixed messages and can make them feel badly. If your child is ONLY eating junk foods and never eats any other types of food I would highly recommend using at least some of the strategies you’re going to learn below because there are obviously other nutrients and vitamins that will greatly benefit them. While its temping to totally freak out about their current state of eating it really can improve with some patience and consistency. Feel good about your long term goals and look for the small wins each week. If your child is moving in that direction then you don’t need to worry! Want some more piece of mind? Then head to Does My Picky Eater Need a Vitamin (I know you’re wondering) and Is Your Picky Eater Healthy, both will be well worth your time! Also, PLEASE keep in mind that I use the term healthy very loosely. While I love healthy foods sometimes we can get really caught up in that label, the goal is to expand your child’s diet and have a decent selection of foods they will eat. Everyone’s definition of what is healthy is different. If you want to focus specifically on vegetables you can read about how to get kids to eat vegetables there or get tips for helping kids eat meat here. It may seem like a waste to buy them, but its important for our kids to see us buying fresh food in the store and unloading them onto our shelves. In fact these are great activities for you child to help with. When you’re in the grocery store ask them to go get some tomatoes or picky up the bananas and load them into the cart. 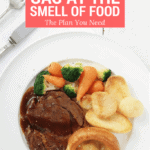 Have them help you unpack the bags when you get home and show them where these foods go. Just make sure you don’t slip any comments in there like, “Are you going to try these bananas today? Mommy is buying them for you!” this will make the activity have a negative light on it and turn your kid off to trying them at all. Without pressuring your child to eat other foods begin serving them healthy foods alongside the junk food they prefer. Start with just one healthy food, keep the amount small, and let your child know they don’t have to eat it. If they have a total freak out trying taking baby steps backwards. Offer a divided plate, we use these one’s in my house, or even a small bowl next to their plate until they can tolerate it. Then take baby steps back to getting the food actually on their plate. This may take a few meals or a few weeks, I told you that patience would be needed! If your child is making some progress with eating healthy foods try to cut back on how much junk food you buy, when it isn’t in the house it isn’t there to eat. If your child won’t eat anything else but junk food you’ll have to be very careful here because they do need to eat something! It’s very important that every meals they are served at least one food you expect they will eat. It’s soooo hard not to lecture our kids about what healthy foods are and why we should eat them, but this creates an atmosphere of pressure kids just turn against. It also does the opposite and creates a negative association with food. The same goes for guilting them into eating, like when we say, “This food is so good for you, don’t you want to be big and strong?” Read more about how NOT pressuring your child to eat can be a total game changer. Have no expectation of your child actually eating the food, that will save you a lot of disappointment, but get them involved in rinsing the vegetables or chopping up some foods if they are old enough, click here for kitchen skill by age. If they refuse to help, let them know earlier in the day this is something you’ll be doing together and give frequent reminders throughout the day. Make it fun, put on some music. Any interaction with healthy foods is a wonderful opportunity for them and will help in ways you might not see immediately but will have long term gains. Want to see some examples of how I’ve done this in my kitchen? Check out our quiche, pumpkin waffles, and paella recipes, you’ll find step by step inspiration for how I got my kids involved. Junk food is easy to eat all day, a lot of it has msg in it that physically creates a craving for more. When our kids aren’t eating well its really tempting to let them eat whenever they want because at least they’re eating, but that’s doing way more harm than good. 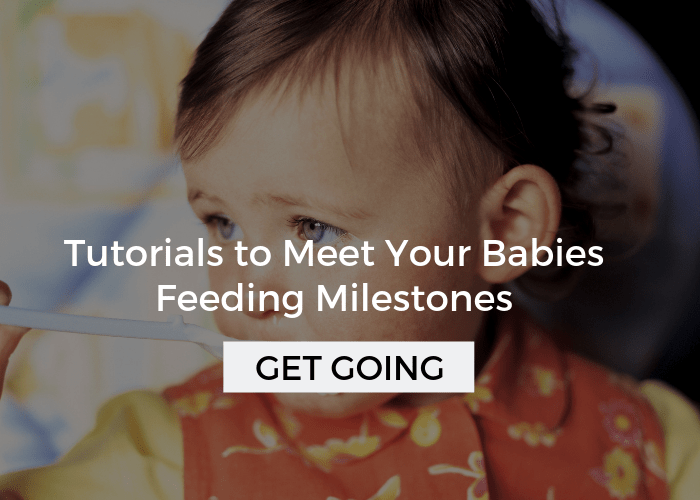 Set up a schedule and aim for kids having nothing but water in between their meals. I like to space meals out every 2.5-3 hours because this creates an appetite cycle that actually has them hungry when they sit down to eat. This is one of my top tips to improve and child’s eating, get the rest on a free printable here. This can be as simple as a single pot on your patio or porch, and while it takes some effort the rewards are worth it. I’ve seen it happen over and over again in my home! Kids are invested and interested in foods they’ve watched grow in a way that is otherwise had to replicate. Read more about the benefits of starting a garden for picky eaters. 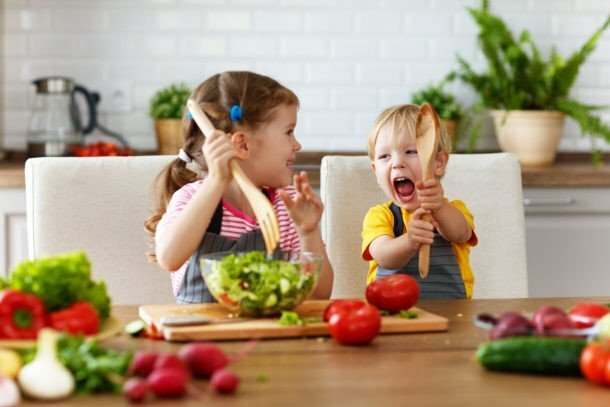 Having a child that won’t eat anything but junk food can be frustrating and worrisome to say the least, but these tips you learned can be the start of getting your child to eat healthy foods. 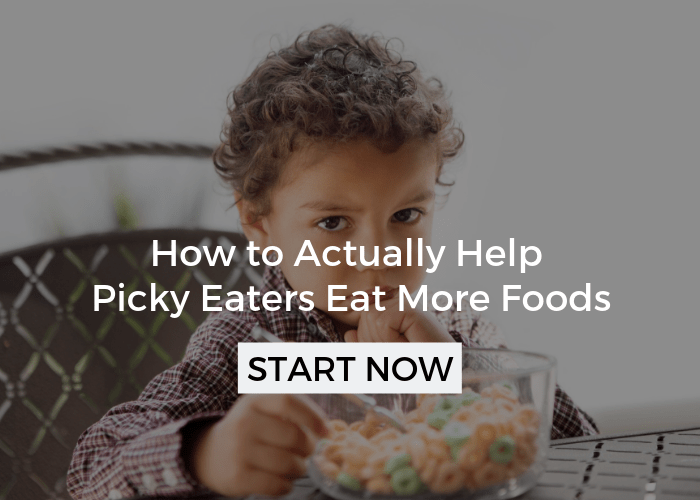 To have an even huger impact on your child’s diet, and your sanity, save yourself a seat in my FREE WORKSHOP: 3 Keys to Turn Around Picky Eating. I have a son that will be 10 in August. He has sleep apnea, so he wears a cpap and has a herbst appliance in his mouth. He has been steadily gaining weight. I try to avoid buying junk food, but he refuses to eat breakfast unless it’s sugary pop tarts or other junk, so he buys breakfast at school because that’s what they have there. He also buys junk food snacks at school. We don’t use the word “fat” in my house, but he calls himself fat. I don’t know what to do. That’s a tough situation! Have you tried any of the tips from the post? We have done the first seven. It hasn’t made any difference. Every supper is a battle. I miss looking forward to supper. These are definitely just some basic strategies, if you’ve put these in place and not seen a lot of change, there may be some underlying issues that need addressed. Check out 5 Reasons Kids Don’t Eat, I think it will be really helpful. 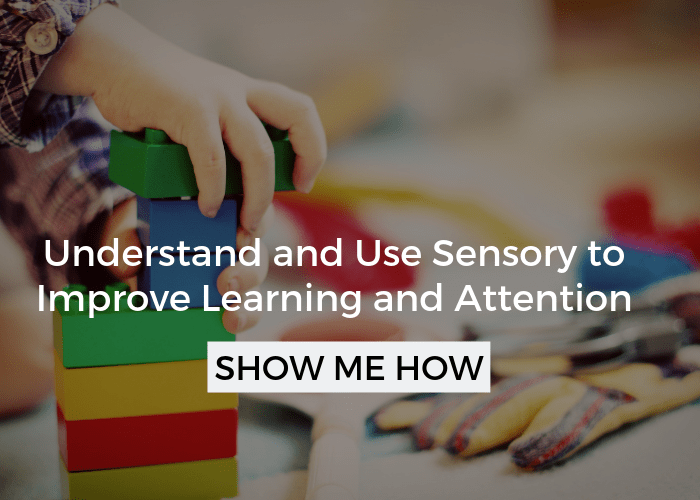 You’ll find more details on how to figure out the root of the problem and how to help them overcome it. There is a way to enjoyable meals again! My 5 year old granddaughter has type 1 diabetes; diagnosed on the day after her first birthday. She must eat regular meals plus 2-4 snacks per day. 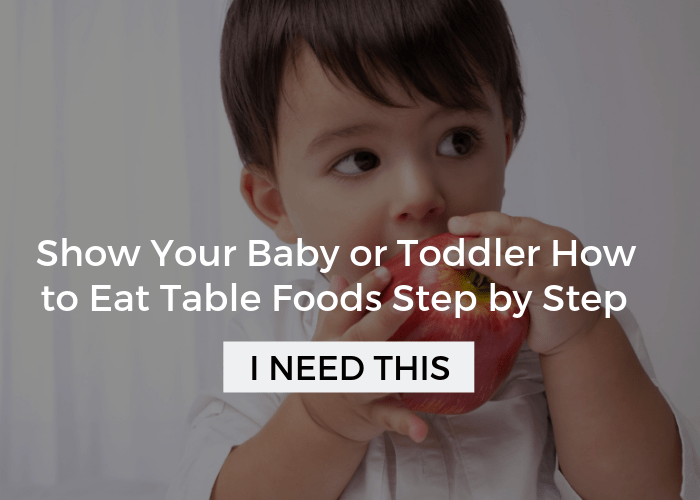 We have gone through the picky toddler years and have done all the wrong things to get her to eat. Now, she has a short list of foods she will eat (all junk). She holds the cards and the controls. If she doesn’t like/want what’s offered, she won’t eat. Some bribes work, for example when she wanted french silk pie for dessert yesterday. Darlene, I know that’s so hard and now you’ve got to get her eating because of her health. 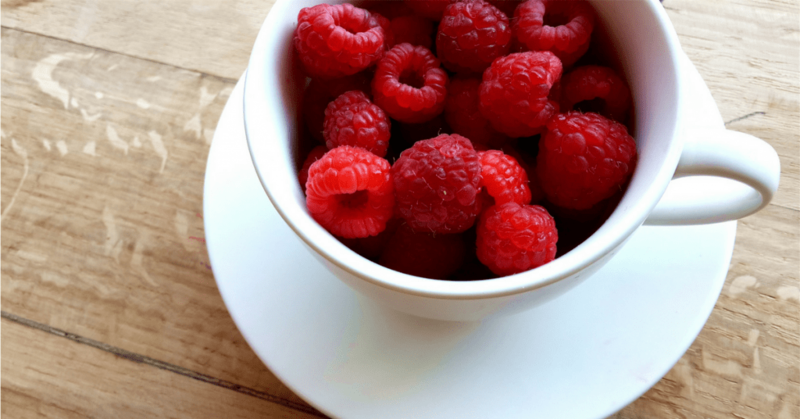 I have some of my best tips to start making a change in this free picky eating workshop. What books can I read to help change my child’s eating habits? This is my favorite: https://amzn.to/2Lf2fQu, (aff link), I highly recommend it! I know that can be frustrating! Have you signed up for my free picky eating workshop, I think it could really help you. I’m afraid I’ve already said the things, you’ve warned not to say! Now I feel more terrible. My 7 year old daughter has always been a very picky eater. She only likes one vegetable (broccoli) that she will eat without me having to hide it in her food. The only dish she likes to eat, is spaghetti with meat sauce (I make it as healthy as I can) Still not that healthy, better then eating something processed, but I can’t serve that every day! Other then that, all she wants is processed foods, cereals (like cinnamon toast crunch) frozen pizza, bagels or bread, fries, hot dogs, fast food! Also loves juice and milk. If I don’t give her what she wants, she says she’s not eating. I try to model healthy eating. I buy unsweetened cashew milk, eat lots of lean meat and vegetables. I buy healthier cereal (non GMO and organic) so there’s always healthy food. But I feel I need to stop buying anything that’s bad cause she will just eat those foods! It is extremely challenging to make her lunch for school as well. Now she’s starting to gain a lot of weight and I don’t know what to do! Oh my gosh Jules, please don’t feel any guilt. These situations are challenging, and you’ve done the best you can with what you knew. 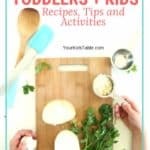 I’d check out my free workshop for picky eaters: yourkidstable.com/free and also this post on how to get more help. You should just be happy your kid eats. My 3 year old refuses to eat anything. After 3 weeks of only drinking milk or water which resulted in 2 weeks of liquid diarrhea we had to take him to the hospital and put him on an I.V. Even after his visit to the hospital he still refuses to eat. It’s as if there is something wired incorrectly in his brain. He looks at the food, expresses a desire to eat it, but when it comes to putting it in his mouth he has a gag reflex then he goes away crying. Keep in mind we are trying to feed him food that until a month ago he ate quite frequently as well as offer new foods. At this point I would be happy if my kid would eat sugar. Any suggestions? I don’t want another trip to the hospital. Oh Spencer, that’s so hard! Did he have a gagging or choking incident at home? An illness? You’ve probably already tried this and its one of the only instances I’d recommend it, but will he eat in front of a tv show he really loves. I’d give him 3 options of different textures (something soft, crunchy) and two flavors within those textures (mild and strong flavor). I’d use this just as a temporary method once he eats in front of the tv I’d phase it out quickly. If the problem persists I’d talk to your pediatrician asap. I totally agree. Kids not eating is a parents worst nightmare. All my three kids all automatically stopped eating at 1. Its so frustrating at dinner and suppertime. Still trying to figure it out. Are supplements not a good idea? I have been trying out some of these strategies but I have a question. If I serve a meal with 2 items that I know my son likes and then something new do I give him more of the “safe” items if he requests it? I feel like he will never try the vegetables if I don’t convince him to. I have always been a picky eater too, I don’t enjoy the taste of most vegetables but eat them because I know they are healthy and also it’s a good example but I wonder if he actually doesn’t like them either.